Tigra dam is located in the outskirts of Gwalior (Madhya Pradesh) and it is the primary source of drinking water for Gwalior city. If you visited all the famous tourist places of city and want to spend some time in natural place, then you must give it a try. The dam was constructed about hundred years ago and the reservoir has a capacity of 4.8 million cubic meters. 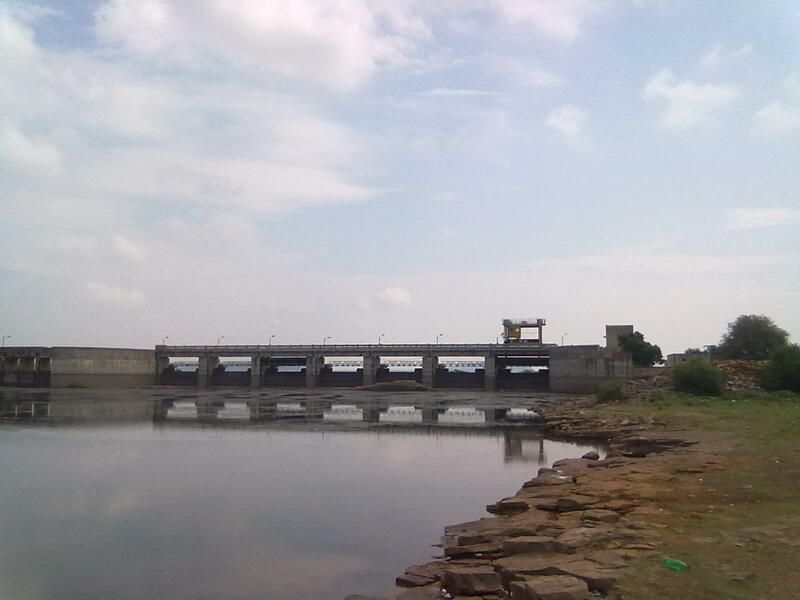 I went there with my brother and two cousins.The distance of Tighra dam from Gwalior Railway station is around 20 Kilometer and travel time to reach the lake is around one hour as and can vary depending upon on traffic conditions. The road to Tighra dam covers many small villages and the reservoir exactly falls in Ghati Gaon. The condition of roads are fair and get ready for narrow and bumpy roads after crossing the city, many small villages comes across the route. The lake has an open parking space where tourist can park their vehicles, and some small shops are also there which provides cold drinks and snacks. The lake has a restaurant “winds and waves”, and you can also enjoy boating in the lake. Boats can be hired from the boating club in minimal charge. The reservoir is full of different type of fishes and other water creatures. Bird watching can also be enjoyed from the lake and the view is very beautiful. We also spotted a crocodile on the shore of the lake, but we couldn’t click the photograph, it was around 8 feet long and taking sunbath near the lake. He got back into the water as he saw us, so be careful when walking around the lake. There are three routes to reach Tigra dam from Gwalior junction railway station, the shortest and best route is 20 KM from railway station. This distance can be covered by own vehicles and visitors can also hire return taxis and cabs easily from Gwalior city at reasonable rates. A car or sedan cab return trip will cost you around 800-1000 bucks while 7 seater cars or SUV will cost you around 1200-1500 bucks depends on booking time and season. 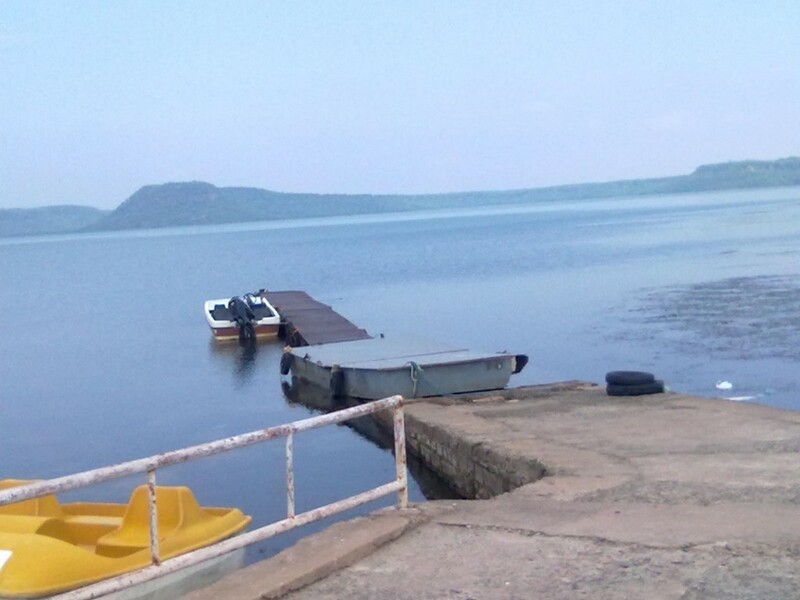 Boating in Tigra dam generally opens from January to March and October to December. Please follow all the safety precaution while do boating in the lake for your own safety. Kindly confirm the boating rates at the ticket counter, boating rates might have been changed in the meantime. 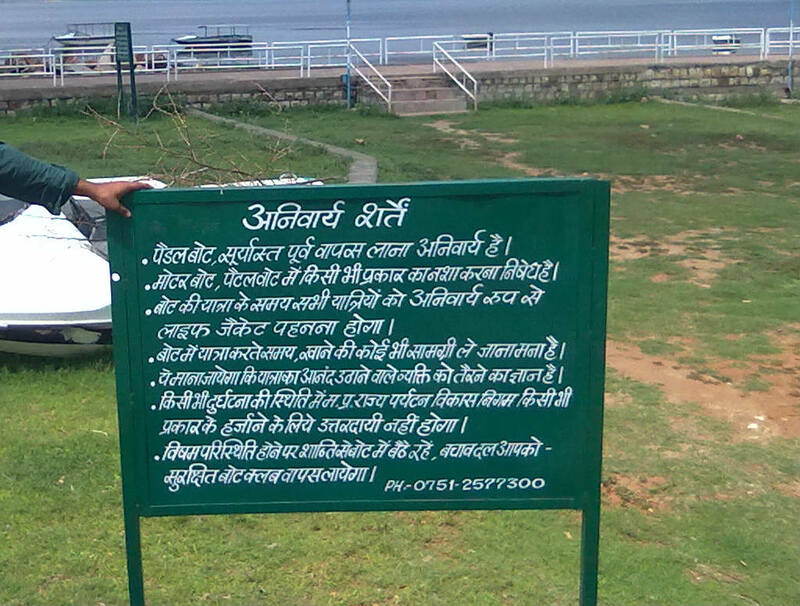 Rainy and Winter season is the best time to visit Tigra dam, Gwalior. Visitors should avoid the rainy season due to the hot weather of Gwalior, in summer temperature can reach up to 45 C. In rainy season water level of Dam can be high, so you might miss the chance of boating. If you are a nature lover, you should visit the lake in the morning and evening time. A walk around the lake surely energise you. Please avoid the time after sunset due to the location of the lake. 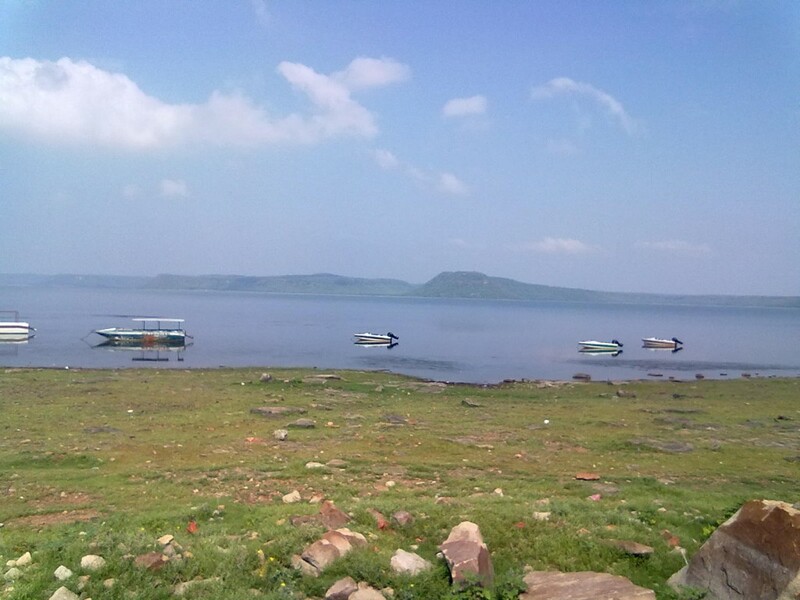 The reservoir is quite big and beautiful and the water is clear, hills in the background add to the beauty of the lake. The colour of the water appears blue if seen from some distance and it creates magnificent view. The lake is in good condition and basic facilities are available there, so make your arrangements accordingly. The summer season is quite hot there so the best time to visit is season of rain or winter (From August to March). If you are fond of boating then kindly ignore rainy season as boating might not be available in that season due to safety of visitors. Public transport facility is poor here, so plan accordingly. Tourist can also visit the Gwalior fort and Zoo in Gwalior city. P.S. This is my personal review and pictures of the lake are clicked by me.